Backpressure occurs when the fluid moving through a pipe encounters a solid surface, such as a bend in the pipe. The result is a fluid hammer, also known as a water hammer, when the shock of the fluid impact on the bend ricochets up the pipe. This puts additional pressure on the pipe at the angle and reduces the flow through the system. Too much pressure in the piping system could damage the pump and the PVC tubing. Determining the flow rate of fluid (typically water) through a sprinkler system is different than for standard Schedule 40 PVC pipes. The velocity of water through PVC pipe for a sprinkler system should not exceed 5 feet per second, according to a report from Ohio State University. The pressure put on the top of the pipe will be lost somewhat due to friction, and the amount of friction increases with the length of the pipe and the velocity of the water. The maximum flow through a 1-inch diameter sprinkler system should not exceed 13 gallons per minute (GPM), which is less than the Schedule 40 PVC mentioned above. 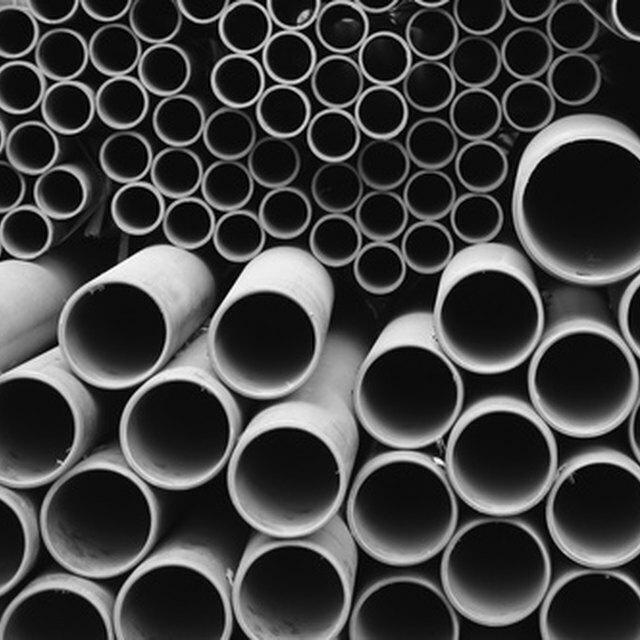 A Reynolds number is a way of categorizing the type of flow through a pipe. Reynolds numbers do not have units (such as GPM, or feet per second). According to Thermexcel, Reynolds numbers take into account the viscosity of the fluid through the pipe, the speed of the fluid, and the density of the fluid. The more viscous the fluid, the greater the resistance due to friction, which will reduce the speed through the pipe and lower the Reynolds number. The calculated number has three broad categories. A number less than 2000 is the "laminar mode" and means the flow through the pipe is calm. A number between 2000 and 4000 is the critique zone where the flow is unstable. Greater than 4000 is the "turbulent mode," which indicates irregular motion of the fluid such as swirling.